The availability of credit is tightening and the Federal Reserve (Fed) will probably react appropriately by curbing its enthusiasm for raising interest rates, says an analyst with global investment bank Morgan Stanley. And a net result of such an outcome could be a softer Dollar. According to Morgan Stanley analysis, financial conditions have tightened since the Fed’s most recent assessment delivered in September to the extent that they are now equivalent to a 0.4% hike in the Fed funds base lending rate, the rate at which the Fed lends money to banks in the real economy. This is likely to lead the Fed to ‘chop off’ circa 0.2% from its growth forecasts over the next 12 months. The slower growth outlook will probably result in a lower trajectory for interest rate expectations reflected in a lower ‘dot plot’, the graphic on the Fed’s website used to illustrate the expectations of individual members of the Fed’s Open Market Committee (FOMC) - the board tasked with adjusting interest rates according to economic conditions. 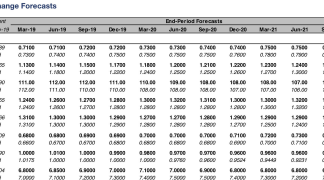 Morgan Stanley now only sees 2 more hikes for sure in 2019, one in March and the second in June, previously the consensus had been for 3-4 hikes. The bank also still expects a 0.25% rate hike in December 2018. The revision to its views on Fed policy also comes after the Chairman of the Federal Reserve Jerome Powell recently said that the bank had raised interest rates to just below the neutral band. His comments surprised many who thought the neutral rate lay higher at between 3.0% - 3.5% (the current Fed funds rate upper band is 2.25%). The inference is that in the eyes of the Fed neutrality has fallen, reflecting new tighter conditions. 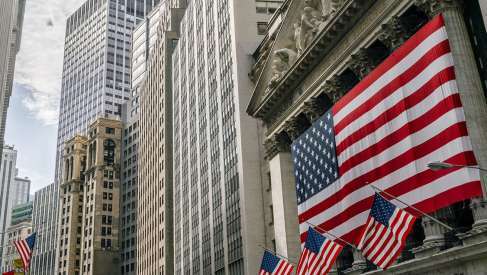 The market reacted to the news with a rally in bonds and a decline in the US Dollar. The view appears to be backed up by further evidence from the bond markets where what is known as the yield curve inverted on Monday for the first time since 2007. Yield curve inversion happens when longer-term interest rates (borrowing costs for longer-term loans) fall below short-term interest rates. It is a rare occurrence in financial markets and is taken as a bad omen for the economy. It is further evidence investors don’t expect interest rates to rise much higher in the medium-long term. “For the first time in more than a decade, parts of the U.S. yield curve have inverted. 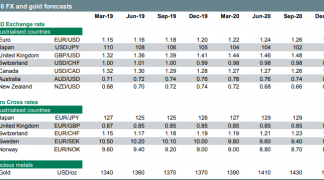 The 3v5 treasury spread is trading sub -1.3%, signaling the market’s expectation of an end to the current tightening cycle — at least in the medium term,” said Nema Ramkhelawan-Bhana a strategist at RMB. An inversion is negative for the US Dollar for several reasons. First, it is a sign interest rates are peaking and these are a primary driver of capital inflows; secondly it is an indicator that hedging costs for foreign owners of US assets are rising, which acts as a disincentive to buying them and thus reduces inflows. Not all analysts are as dovish as Morgan Stanley. 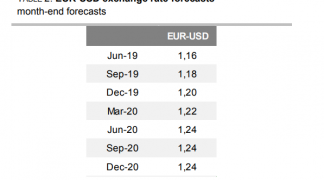 Paul Donovan, global chief economist, at UBS wealth management remains of the opinion that the Fed will hike rates by 0.25% in December and then three times in 2019. “The market got a little bit excited about a change of tone, and that is fine, but I would be looking at 3 rate hikes in the next year,” said Donovan in an interview with Bloomberg TV.